Happy International Tabletop Day everyone! In case you are unaware or have been hiding under a stone or just new to board gaming (I hope it’s the last option), 11th April is International Tabletop Day. It was founded 3 years ago as a way for the world to celebrate tabletop gaming together. From the past year to today, we have seen many more new board games being brought to our table. Board games that could have us laughing out loud at one another as things do not go to plan, like in Lords of Vegas, games that have us working together to save the world, like in Legendary: A Marvel Deck Building Game, or like games that probably throw our 10 years friendship out the window, see Game of Thrones. As for Team Board Game, we have been busy. Busy in a good way though. We had so many orders in the past 2 weeks, that we ran out of stocks, ordered it, ran out of stocks again and ordered more again. We met so many smiling faces along the way and trust me when I say this, your smiles encourages us. It tells us we are doing something right here. Of course, all work but no play makes Jack a dull boy. 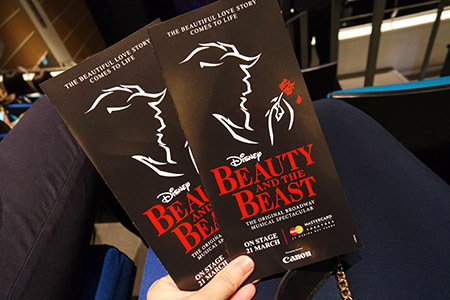 We took some time out to watch a international broadway musical, Beauty and the Beast. Boy, was it awesome. If you haven’t had the chance to catch it, you should. It ranks the 2nd best musical I’ve seen so far in my entire life, with The Lion King being number 1. Really, the songs, the well-made props, the choreographed dance routines, the live band playing, the passion of the actors, it’s a magical experience. In the story, Belle loved Beast for who he is as she knows how it feels to be odd. She is in odd in her own way, being the bookworm of the village, but a really pretty bookworm. At Team Board Game, we love books though. 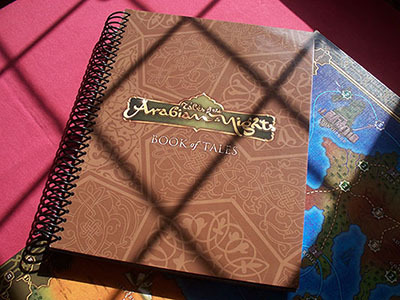 So much in fact, that we have just restocked on Tales of the Arabian Nights and played it ourselves. It doesn’t feel long and that’s the beauty of it as all the players are consistently involved in the game. Just a friendly tip, consistent planning ahead and a backup plan is required if you ever want to emerge victorious in this game. 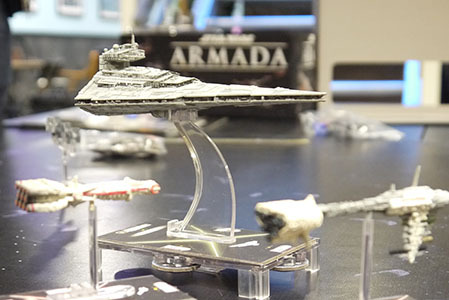 In new releases, Team Board Game brought in the mega mother of all space fights, Star Wars Armada. Ooooo… The design of the destroyer and all the other ships are so well made, you can take macro shots of it, tag OOTD to it and get more than 1,000 likes for it. We did acquire a brand new release of an expansion for a game that we will reveal on Monday once it arrives, so watch out for this space.